Today we moved, delighted. The house is tiny, but with a wide covered terrace and a lovely view, quite cool now in winter, and the place is wonderfully deserted, just like Ischl in October or December. Finally somewhere to rest for a few months, and our suitcases will be stored so as not to see them for a long time. 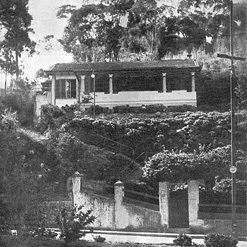 The house – where the writer Stefan Zweig and his second wife, Lotte, lived for five months until they consumated their joint suicide pact on the night of the 22nd to 23rd of February, 1942, is located in the mountain resort of Petropolis, surrounded by valleys, 813 meters above sea level. The act of the successful author, Austrian by birth, a UK-citizen, but countriless, thrust the tiny one time imperial city (Petrópolis), onto the world stage and eternalized the despair and anxiety of a world at war, devoid of hope. Now, the house in which Zweig finished his autobiography The World of Yesterday, wrote The Royal Game, reworked some unfinished pieces such as Clarissa and the introduction of his essay about Montaigne, finally became a museum to his memory. 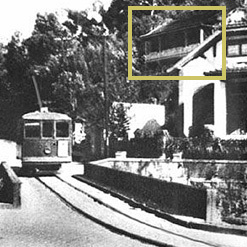 At the same time, the Casa Stefan Zweig also houses the Memorial to Exile, a place to remember and honour hundreds of other exiles and emigrants who left their mark in the arts, in science and on the culture of Brazil.